I opened a Society6 shop today to sell my designs. 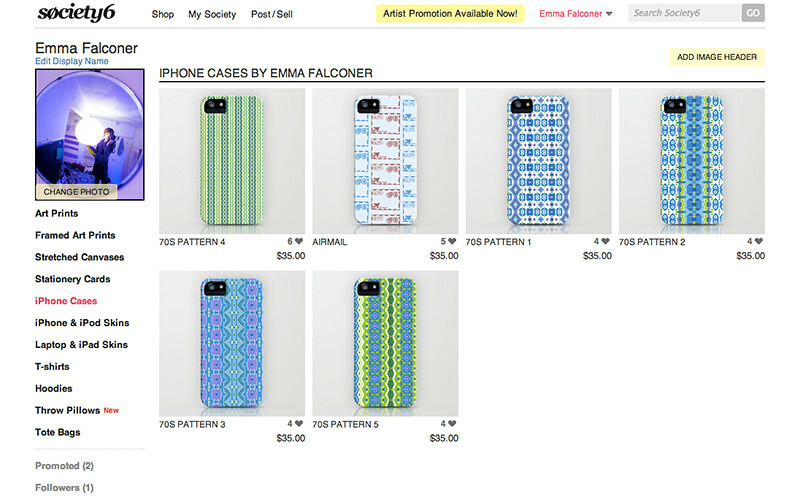 You can get cushions, greetings cards and iphone/ipad/laptop covers. I have the same designs on Spoonflower, available as meters of fabric, but I’m still waiting to get my printing samples to check before they go live. I’ve got lots more patterns I’m working on, but here’s 6 to start with. Society6 have a special offer that ends at midnight Pacific Time (ie early in the morning GMT). If you order today, you get free postage. The link is here.